The economic benefit Coventry’s two universities bring to the city have been revealed in a new piece of work. Coventry University and the University of Warwick have conducted separate economic impact surveys in recent years, but the two institutions have now come together to highlight the power and value of higher education on the city’s economy. The findings, which will be used to showcase the strength of the area’s economy at a major international show in March, reveal that more than 4,000 university staff work full time and live in the city, while the amount students spend in Coventry supports almost 2,500 jobs. There are more than 9,000 university staff in total and 71 per cent of all staff live in the city or county. The two universities educate around 58,000 undergraduates and postgraduates and they attract students from 140 countries to the city each year, more than 2,000 of whom do volunteer work for local community projects in Coventry & Warwickshire. There are more than 110 companies on their science and technology parks, employing almost 3,500 staff, while together the two universities bring in £172m of research income annually. The research findings will be used at MIPIM, the world’s largest commercial property development and investment show in March. The Coventry & Warwickshire MIPIM Partnership is made up of more than 20 private sector companies and organisations who help finance the area’s presence at the four-day event. 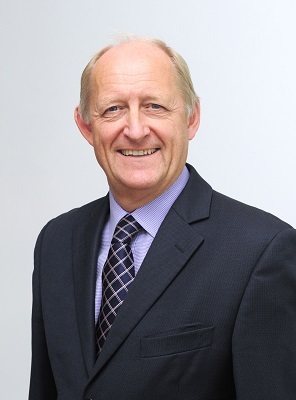 Major cities from across the UK and Europe will be represented at the event, and Les Ratcliffe, who chairs the Coventry and Warwickshire Place Board which helps promote the area, says the research will be used to help drive inward investment. He said: “Coventry and Warwickshire has a very good track record in attracting inward investment in recent years and the universities have helped lead the way in that success. “The work they undertake in some of our key sectors and the links they have with commerce is a key selling point, but the economic benefits they bring to the area as businesses in their own right is also vital. “The two universities have different but complementary strengths but I think it also fair to say that they are working closer than ever before and that is bringing real benefits both economically but also in helping the area as a whole. “They have senior staff contributing to initiatives and organisations such as the Coventry & Warwickshire Local Enterprise Partnership, City of Culture 2021, The Coventry and Warwickshire Place Board, and the Coventry Health and Wellbeing board.